The Foundation for Information Society – the publisher of the Alma Mater series – has been thoroughly committed to preserve and present cultural and natural heritage. Our researches have been published in numerous studies but now, for the first time, it was due to treat this subject in the framework of the thematic volumes of alma Mater in a comprehensive way. The diverse issue has resulted in the assertion that the topics collected by our authors could not be put in one single volume. The present book will treat heritage sites. Our primary aim is registering the state-of-the-art summary of the current situation in Hungary, in order to enable the managers to take care of these sites in a professional way, to ensure an appropriate protection, to raise awareness of people so that they could rightfully evaluate the world surrounding them and be able to pass it to the next generation. By gathering this bunch of experience, we would like to play a part in the protection of heritage values, in the safeguarding or even improvement of our environmental conditions in accordance with local interests and contributing to the strengthening of cultural identity. The significance of archaeology and archaeological heritage management has an increasing character all over the world and also in Hungary. It is a great task for them, for the museums and for their scientific and managing staff to increase the sympathy against archaeology, to preserve and to manage archaeological sites and archaeological monuments. In addition, the national and international organisations, first of all ICOMOS and ICAHM have their responsibility in these efforts. Remains of the frontier (limes) of the Roman Empire is considered to be a uniform system by the UNESCO World Heritage Committee. The remains in Budapest have special importance among the Hungarian World Heritage sites.. Nearly all settlement types (town, villa-estate, military objects) buildings (sanctuary, public and private buildings, amphitheatres) and elements related to the infrastructure (roads, bridges, water conduits, sewage systems) types can be found here in reconstructed form. The Roman building remains mentioned in this article fit seamlessly into the modern settlement-system based on the Roman road network. It is an attempt to give a data-supported general view about the situation of the archaeological heritage in Hungary. Its status and the risk factors are also described. In the part of the protection of the heritage besides the legislative and the institutional structure, there is a review of data concerning the professionals (numbers, qualifications etc.) and presents the different sorts of archaeological excavations, their role and significance. For closing the possible methods of the sustainable development considering the protection of the archaeological heritage is demonstrated. 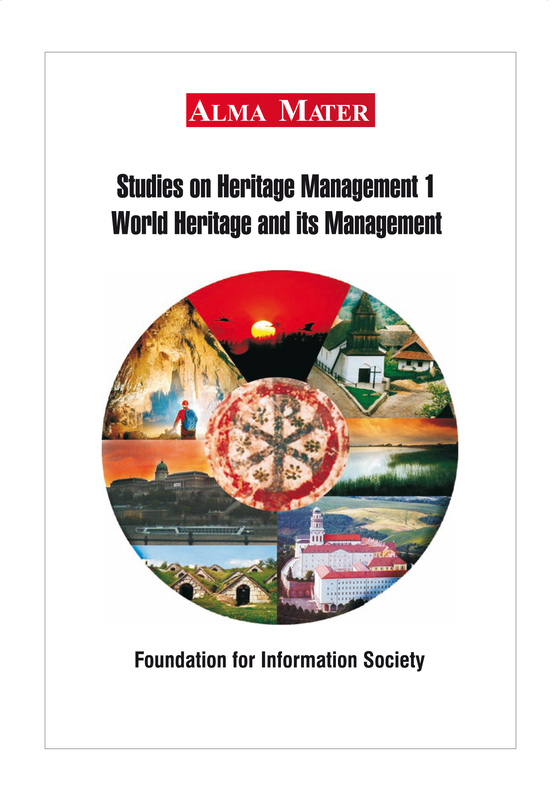 There is a general overview on the establishment of the UNESCO World Heritage Convention, on Hungary’s joining it and about the built, natural, tangible, intangible heritage management on the inscribed sites. The Hungarian WH sites and those on the tentative list have got assignments encompassing technical, organisational and information management solutions that are incorporated in the entity of culture, economy and tourism. It involves tasks both for heritage preservation and for education. If you know your past you can more easily find the way that takes you to the future. Let us watch, learn and absorb the wisdom accumulated as the years have gone by! And when we are touched by its power let us enable others to resort to the past in ten, fifty or hundred years time. We studied rural heritage houses at various locations in Hungary, to discover differences. We studied marketing, the volume and the form of information that could be acquired on the objects on display, and several other characteristics that might be of assistance in understanding advantages and revealing deficiencies, if any. Readers are introduced to the economic management of the operation of the Benedictine Archabbey of Pannonhalma. The architectural gifts of the Abbey, its historical and cultural heritage, artistic and scientific collections, botanical and ornithological spectacularities, medicinal herb and grapes cultures together with several auxiliary services enable the composition of a complex tourism package that whilst duly honours the privacy of the monks living in the monastery, profit maximising does not suppress Catholic values and spirit, ensures sustainable development of education and of local tourism and the profitability of enterprises linked to tourism. Historical landscapes include different cultures and societies as added value to protected areas. These areas exist as a result of the protection, demolition and creation of the human environment shaped by civilizations of the past centuries. Protection issues can be solved by the development of complex integrated strategies of historical landscapes. In my opinion, strict inactive protection might cause as big a problem of land use as development without rules and adequate planning. One of the most important tasks in the coming years is to achieve sustainable maintenance based on social consensus and harmonized environmental circumstances. The nature reserve of the Ipolytarnóc Fossils, a 20 million year old landmark belongs to the unparalleled geological values of the planet named Earth. Formal recognition of this extraordinary geological heritage is aggravated by several factors. None of them descends from the ancient times. Nomination of the central part in 2003 as well as adventures encountered earlier provide us with unique lessons. In accordance with statements made by a supplementary global comparative analysis and the revised expert opinion, the meeting of the World Heritage Commission held in 2004 came to a compromise. Further studies are necessary for the comprehensive evaluation of the universal values of the area that therefore stayed on the waiting list. In December 2001 the entire Fertő-lake and its surrounds on both the Hungarian and Austrian sides were awarded with the World Heritage title in the cultural landscape category. The approx. 15 to 20 thousand year old shallow saline steppe lake determines the life of the local people and vice versa, i.e. gentle landscape management exercises beneficial impact on natural values. Reed management, fishing or shepherding on the great planes around the lake are human activities looking back to centuries, which indirectly help to maintain the multiplicity of habitats and species. Cultivation of grapevines on the lakeside hills since the Roman times can nicely cohabit with all these. Relics of civilisations from two thousand years ago, the Mithras shrine where Persian legionaries sacrificed to their god are among others other historical and cultural values such as the inner city of Ruszt the onetime smallest free royal town, the Széchenyi castle and its surrounds in Nagycenk, or the Esterházy Castle in Fertőd. Further parts of the World Heritage are villages around the Fertő preserving the image of traditional Hungarian settlements. The Puszta called Hortobágy has become one of the symbols of Hungary. The flat landscape being conserved through the centuries provided home for cattle, herdsmen, brigands, migratory, nesting and vagrant birds, special plants tolerating salt and heat, and the mind that brings romantic stories to life. Natural and artificial wetlands of the grassland dominated landscape are also of international importance, their conservation is reinforced by the Ramsar Convention. Most of the National Park’s area is a UNESCO Biosphere Reserve, in the management of which priority is given to the protection of natural processes, as well as to rare species and habitats. Hungary has been producing wine for over a thousand years, and the traditions associated with wine-making have become part of Hungarian culture. Hungarian wine has a well-deserved popularity domestically, but it has failed to enter the foreign markets. Recently, one of the best known wine making regions of Hungary has been accepted as a UNESCO World Heritage. Here we examine the opportunities arising from the wine-making heritage and the World Heritage title to get the Hungarian wine the fame it deserves among the wines already available abroad. Hungary joined the UNESCO World Heritage Convention in 1985. The author could actively participate in the process of enlarging the list of Hungarian WH sites, which between 1995 and 2002 enriched the List with six new sites. Experiences and lessons could be gained from the professional preparation of the new sites, the elaboration of submissions as well as from the decision-making procedure. A bunch of episodes are collected from the WH practice of two decades, hoping that one or the other together with the suggestions drafted therewith might be enlightening for the future.